WEDNESDAY, May 24, 2017 (HealthDay News) -- The Republican-led bill to repeal and replace Obamacare that passed the House last month would result in 23 million Americans losing their health insurance coverage, according to a much-anticipated report released Wednesday. The nonpartisan Congressional Budget Office (CBO) projects that a total of 51 million people under age 65 would be uninsured in 2026 under the Republican-backed measure, called the American Health Care Act. That figure is a combination of the 28 million Americans under 65 who still lack insurance under the Affordable Care Act (often called Obamacare) plus the 23 million projected to lose their coverage if the GOP-sponsored bill passes the Senate to become law. The new CBO estimate of the newly uninsured is only about a million people less than the prior plan rejected by the House in March. The newer version -- with concessions to the far right of the Republican party -- narrowly passed the U.S. House of Representatives on May 5, ahead of the CBO's final, independent assessment of its potential impact on federal spending and health care coverage. Now, the CBO's assessment raises the specter of sharply higher out-of-pocket consumer spending on insurance, especially for people living in states that opt out of certain Obama-era protections affecting both premiums and benefits. Dropped benefits, but lowered premiums? "Let's remember what was promised to the American people [by Republican lawmakers] -- more people covered, with even better coverage, for less money," Betsy Imholz, special projects director for Consumers Union, said in a statement. "Every element of this legislation is a broken promise." Critics of the Affordable Care Act, however, say it is the Obamacare marketplace that's broken. Just ahead of the report's release, the Institute for Policy Innovation issued a statement reacting to yet another health insurer's decision to pull out of Obamacare. "Democrats sold Obamacare as a way to expand access to health insurance and lower the costs. Just the opposite is happening," said Merrill Matthews, a resident scholar at the Institute. "What we are seeing is a collapse of the individual insurance market." Under the House bill, some states could allow insurers to narrow the menu of health benefits they offer by dropping one or more of Obamacare's "essential heath benefits" from their list of covered conditions. According to the CBO, that would mean that people living in states that cut back on those benefits "would experience substantial increases in out-of-pocket spending on health care or would choose to forgo the services." "In particular, out-of-pocket spending on maternity care and mental and substance abuse services could increase by thousands of dollars in a given year" for people who use those services, the report noted. In essence, Obamacare's ban on annual and lifetime limits on covered benefits would no longer apply to benefits that individual states now deemed non-essential. Insurers in those states could then be free to impose limits on covered benefits -- affecting people's access to high-cost prescription drugs, for example. 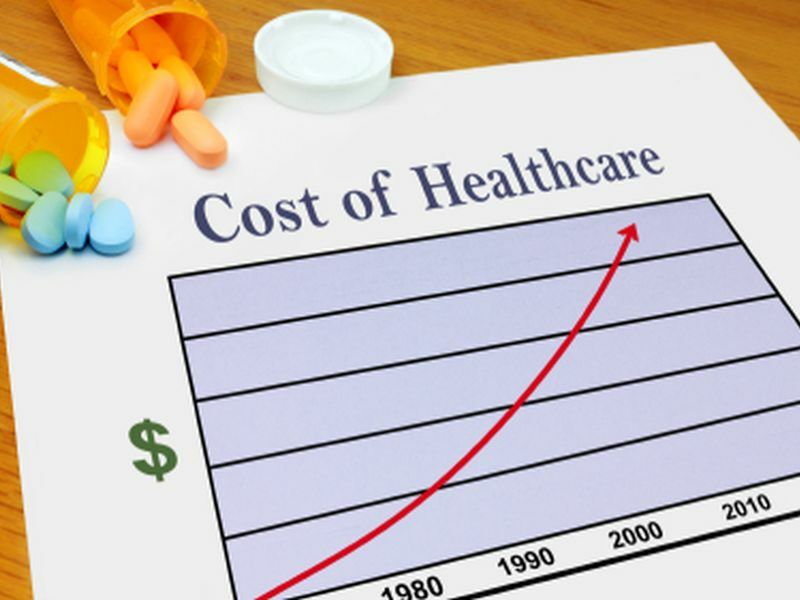 The upside, potentially, is that average insurance premiums might eventually be lowered, partly because insurance would pay for a smaller proportion of health care costs than Obamacare currently requires, the report explained. Premiums, on average,would rise in the short term -- up about 20 percent in 2018 and 5 percent in 2019, based on CBO's estimates. However, starting in 2020, average premiums would vary depending on how states reacted to various provisions of the health-care overhaul. A decade from now, premiums in some states would be about 4 percent lower, the CBO said. Others could see more substantial reductions, ranging from 10 to 30 percent but only because those policies would provide fewer benefits than did Obamacare. But not every American would benefit equally, experts noted. Even in states that don't seek waivers from Obamacare protections, if you buy coverage in the individual insurance market, "particularly if you're older and lower-income, you'll likely face a much higher premium than you would under the Affordable Care Act," said Sara Collins, vice president for coverage and access at The Commonwealth Fund. "People with higher incomes would probably see their premiums go down slightly because of the way the tax credits are structured," she said. "And people with lower incomes would see their premiums go up -- with the exception of younger people." There would be cost savings to the federal government, however. According to the CBO, the House bill, if passed, would reduce federal spending by $119 billion over the next 10 years. The largest savings would come from an $834 billion reduction in Medicaid spending and $665 billion in savings that would come from replacing Obamacare subsidies to low-and middle-income Americans with new tax credits. In March, the CBO projected that the measure would reduce the federal deficit by $150 billion over the next decade. While the current estimate is lower, it is enough for House leaders to send the bill on to the Senate. A favorable CBO "score" was considered crucial for the future of the House bill. Leaders are using a process known as budget reconciliation to circumvent usual Senate rules and expedite a vote by a simple majority. Missing the bill's current target of at least $2 billion in savings over 10 years could have derailed the measure and may have required a second House vote. The House narrowly passed the repeal bill earlier this month after adding amendments to woo conservative and moderate Republicans. The party faithful and President Donald Trump himself celebrated the bill's 217-213 victory in a Rose Garden gathering after the vote. Meantime, a group of Senate Republicans has been meeting behind closed doors to devise its own version of a repeal-and-replace bill. Opponents of the House bill reacted swiftly to the CBO analysis. Last-minute changes to the bill offered "no real improvement," Dr. Andrew Gurman, president of the American Medical Association, said in a statement. "Millions of Americans will become uninsured -- with low-income families on Medicaid being the hardest hit." Dr. Georges Benjamin, executive director of the American Public Health Association, called the measure "dangerous, deadly and deeply flawed," urging the Senate to start over on a bipartisan plan that builds upon the Affordable Care Act. SOURCES: Sara Collins, Ph.D., vice president for coverage and access, The Commonwealth Fund, New York City; May 24, 2017, news release, Institute for Policy Innovation, Dallas; May 24, 2017, news releases, Consumers Union, American Medical Association, and American Public Health Association, all in Washington, D.C., May 24, 2017, cost estimates, Congressional Budget Office, Washington, D.C.